Kang & Kodos are some of the most iconic Simpsons characters. They landed on the Simpsons in the season 2 Treehouse of Horror special all the way back in 1990. Since then they have popped up in all sorts of episodes, but you can find them somewhere in every Treehouse of Horror. 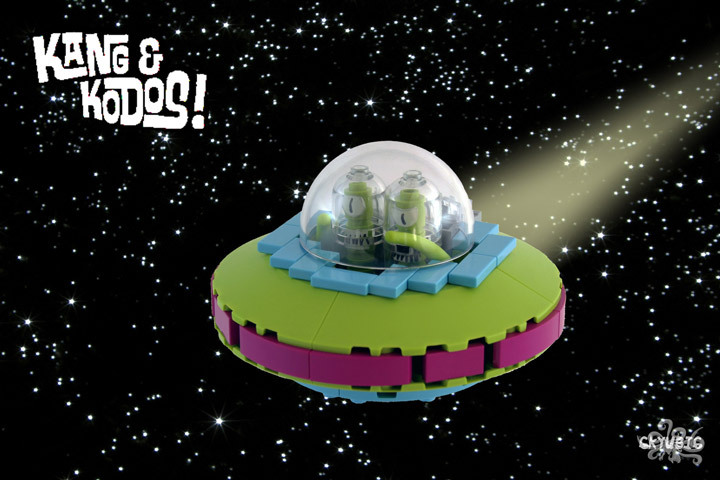 This Lego Kang & Kodos MOC is the creation of 6kyubi6. Who has been diligently recreating Springfield with their “Springfield Project” (here). The duo is looking good, and fit in perfectly with the standard Minifigure scale. People do crazy things when they are late for work. Lego people are no different. 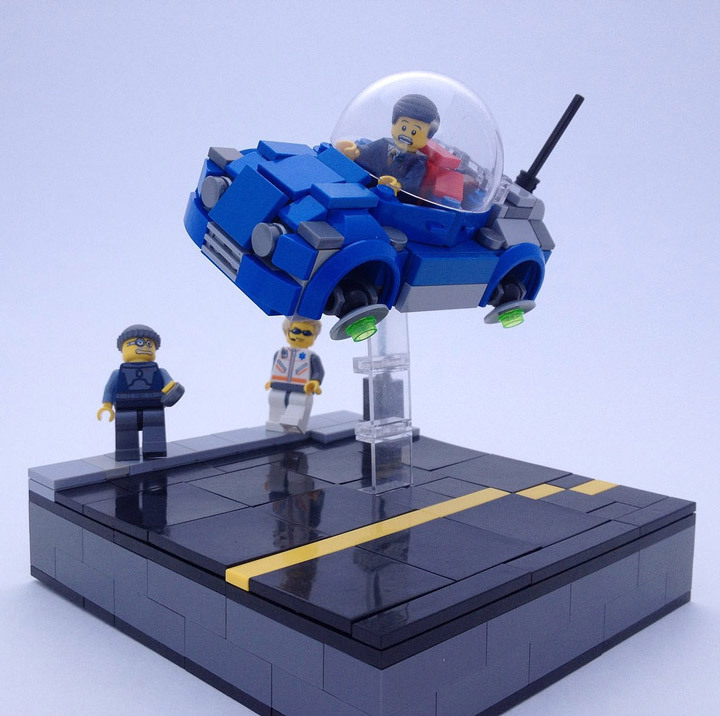 Check out this Lego MOC by P Squiddy titled Late for the job! It is a perfect example of taking a solid MOC and creating a story around it. This isn’t just a flying car in the near/distant future, but a story being told about that future. The whole thing is achieved with minimal details, a few reactionary Minifigures is all it takes. The NASA space probe is New Horizons is currently taking photos and scientific readings of the little non-planet Pluto. The New Horizons Space Probe launched in 2006 with a mission to document Pluto and the Kuiper Belt. The probe will get the closest to Pluto as it can on July 14th 2015. 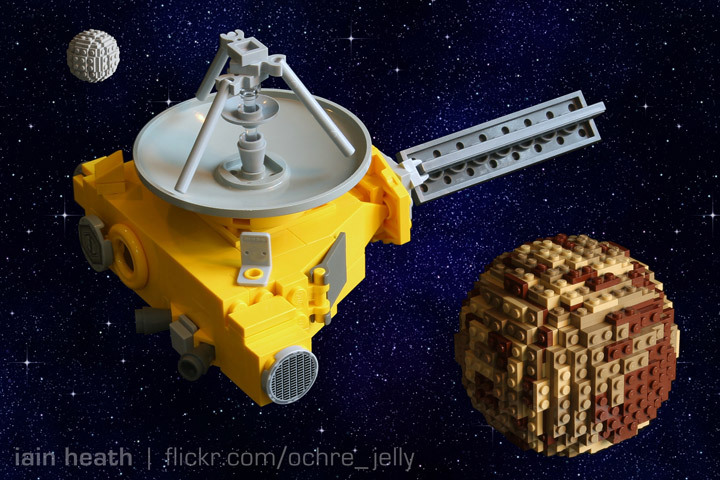 Where it might be revealed that Pluto is made up of Lego, or maybe not. 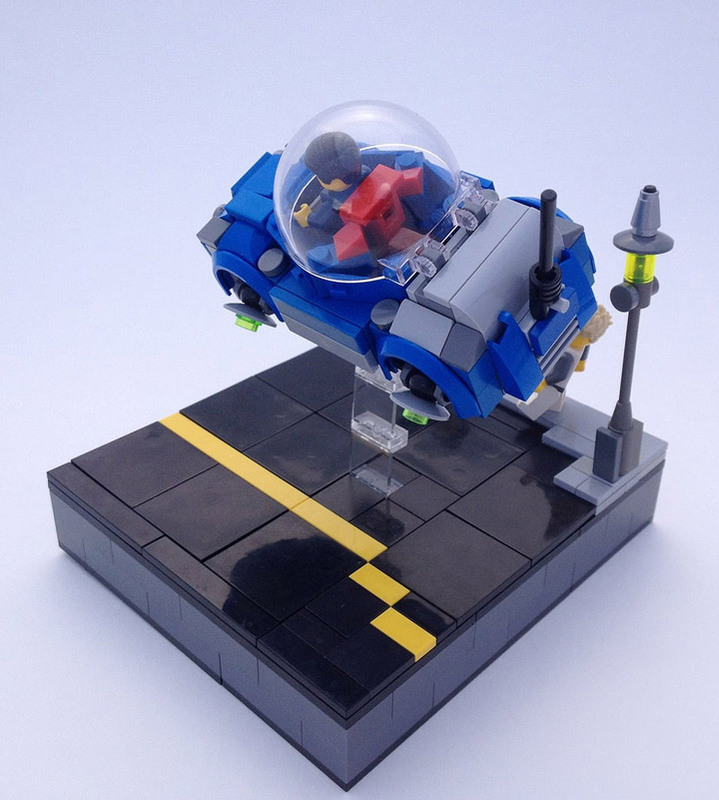 Iain Heath has created a New Horizons MOC as excitement peaks for this historical mission. 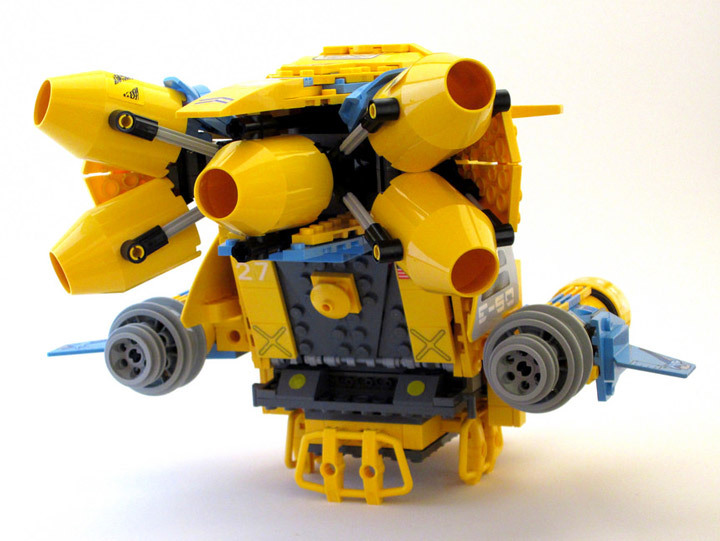 This version of the space probe almost looks like an official Lego Ideas project. Im sure it would have a good chance at making it through the process too. Lego seems to have a soft spot for Space stuff. This is the Griggs Industries GARC Racer “High & Mighty.” A creation of Genghis Don. It is perfect. 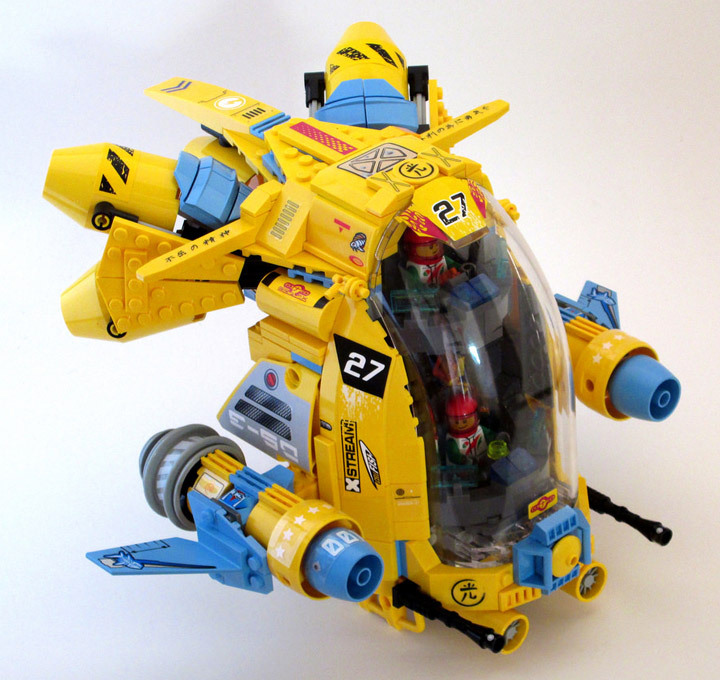 The yellow and blue colors create a striking spaceship that looks ready to win the space race. It seats two pilots, and features an uncommon vertical design. 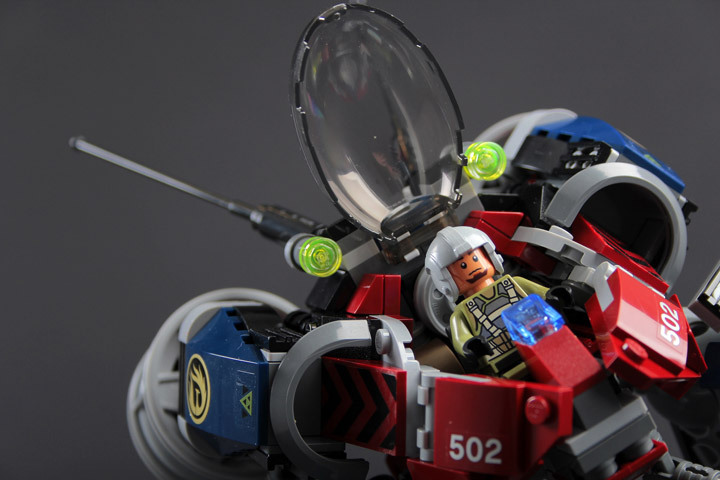 But, what really sets this MOC apart from the other Lego Spaceships is the massive amount of stickers and/or decals. This is a racer with a whole lot of sponsors, and they want to be seen. 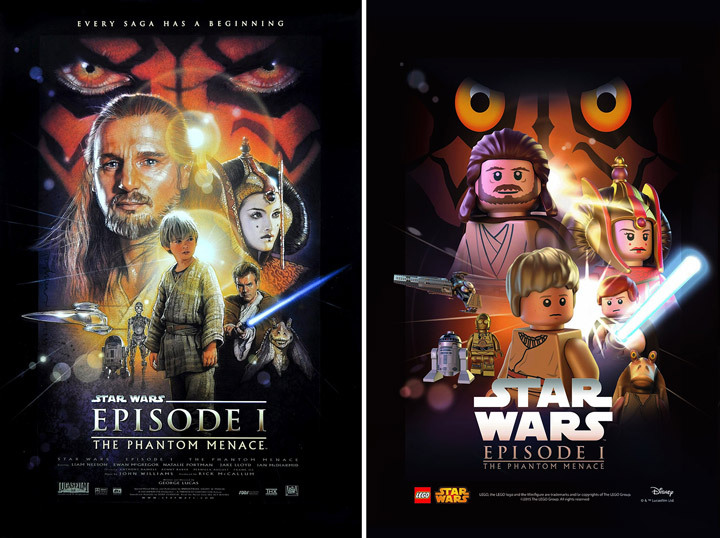 For the 2015 Star Wars Celebration, held in Anaheim California, Lego created a whole series of Lego Star Wars posters. 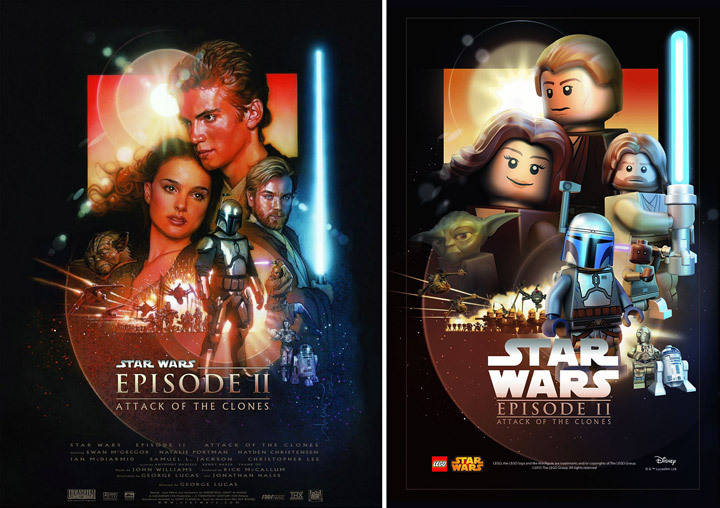 The posters are all recreations of famous Star Wars posters, except in Lego. 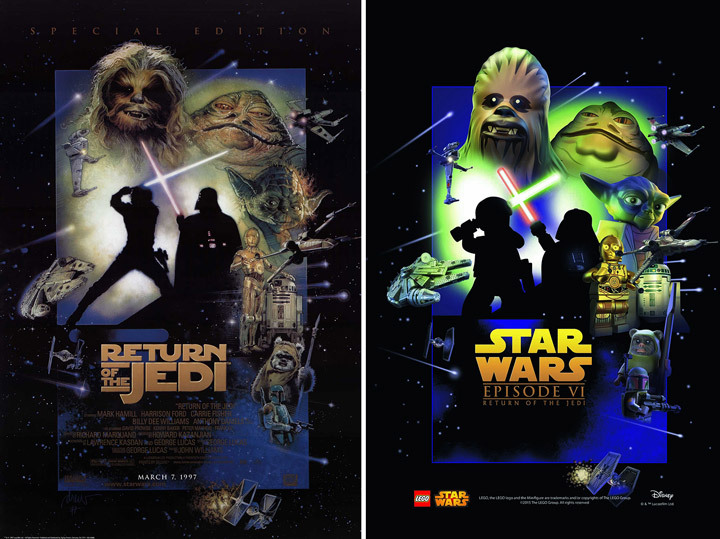 The Phantom Menace, Attack of the Clones, and Revenge of the Sith are based on the theatrical release posters, while A New Hope, The Empire Strikes Back, and Return of the Jedi are based on the Special Edition release. 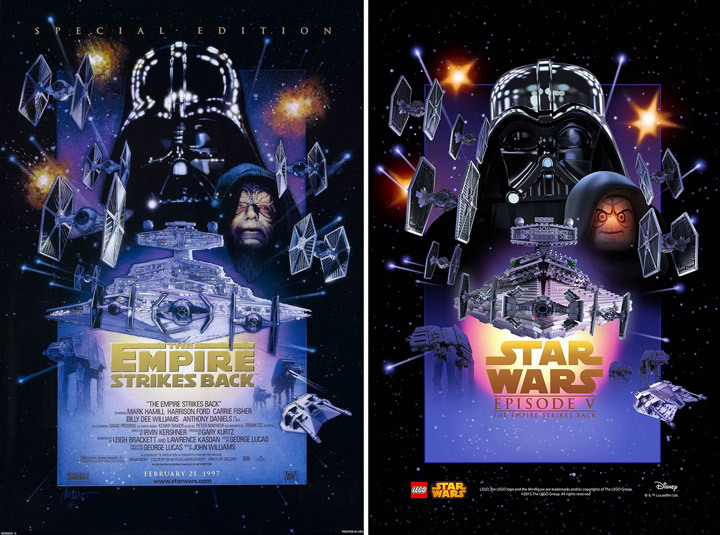 This collection makes for a great series by avoiding the teaser posters, and the original trilogy theatrical posters. A continuity is presented that just looks awesome. 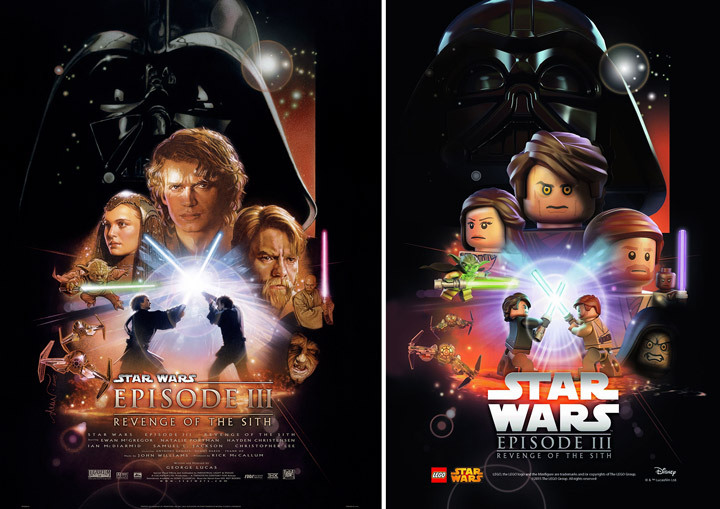 Maybe in the future Lego will revisit this idea and release more Lego Star Wars posters (the original Star Wars poster sure would be appreciated). 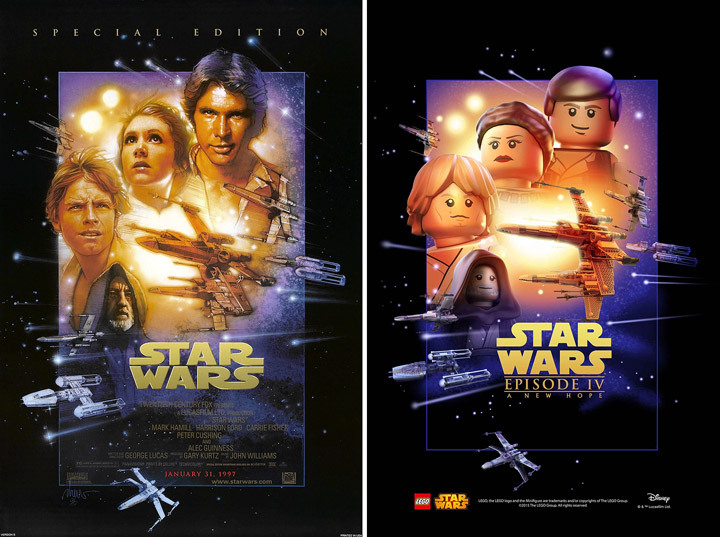 These Lego Star Wars posters were given out at the Star Wars Celebration, if you didn’t attend, there are many of these available online at various auction websites (eBay!). 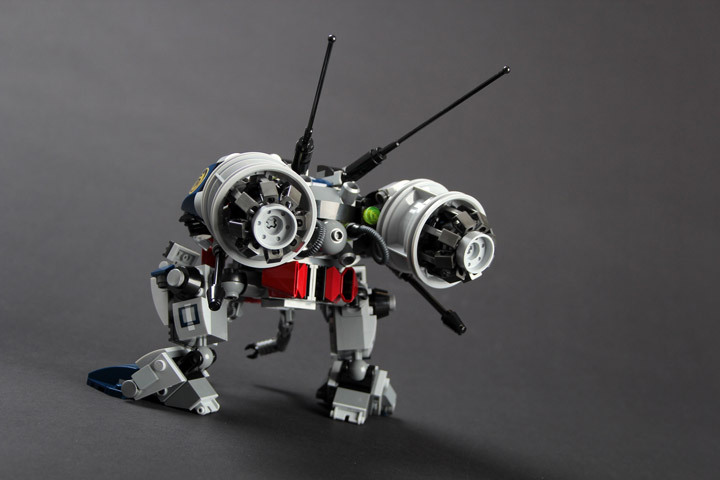 Lego has always been a place to create your own Mechs. 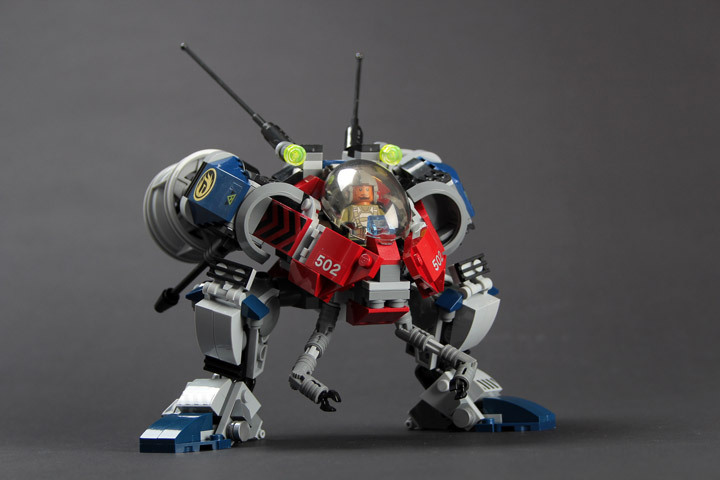 Even Lego has been officially releasing Mechs from at least 1984. 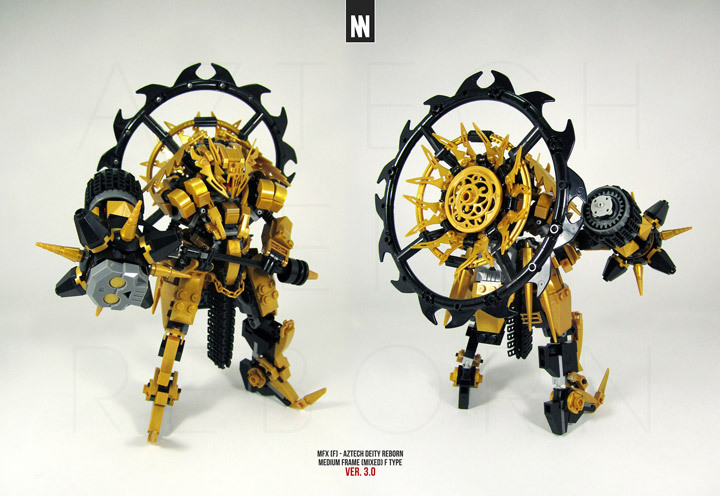 Although the official bots are usually simple, the MOCs people have been creating are breaking new ground, in detail and awesomeness. Check out this golden masterpiece, the MFX [F] – Aztech Deity Reborn. It is the third version of the Diety created by Lu Sim. This version features a golden body, with black frame. And, if you look close enough, a little bit of red. The other big change is going with a thinner, more “feminine” type mech. This golden god is just awesome. When they are not running super fast Hedgehogs are also conquering space. 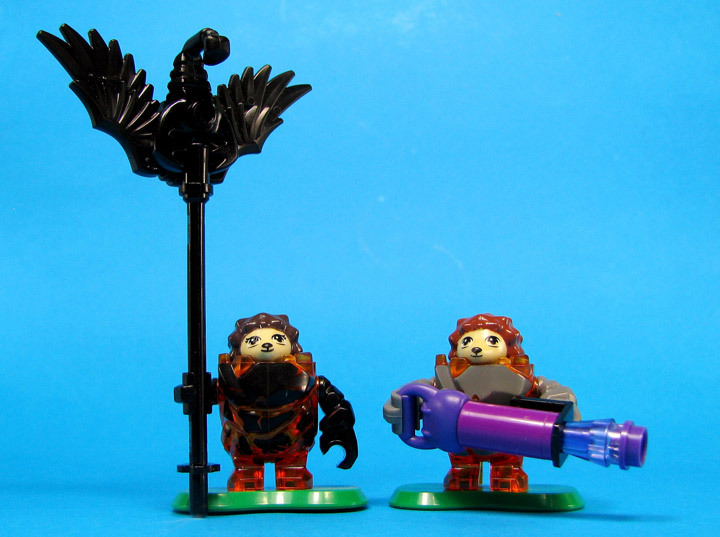 These Lego Hedgeman Legionaries consist of a Standard Bearer and Shockgun Trooper. An amazingly awesome combo of the Rock Monster Body (from the Power Miners theme) and the recent Hedgehog (from Lego Friends). It is also worth taking a closer look at the Banner, the combination of the scorpion and wing works well, as does the purple Lego purse in the Shockgun. The Lego Friends seem to be going on adventures all the time. From fishing to spaceship flying; they even find time to relax in lovely hotels. Their newest adventure is exploring the universe, in a little space rover. Featuring a purple and white striped satellite dish, multiple communications equipment, fancy headlights, and even four-wheel drive. 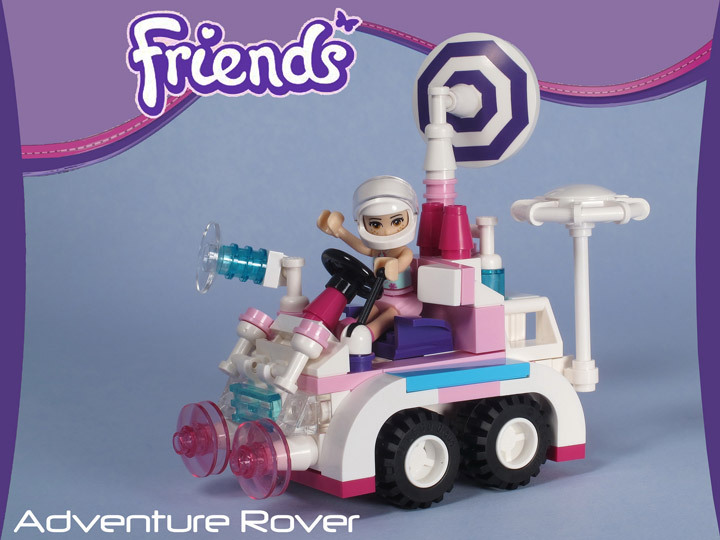 This Lego Friends Adventure Space Rover looks ready to explore the moon or even pluto. 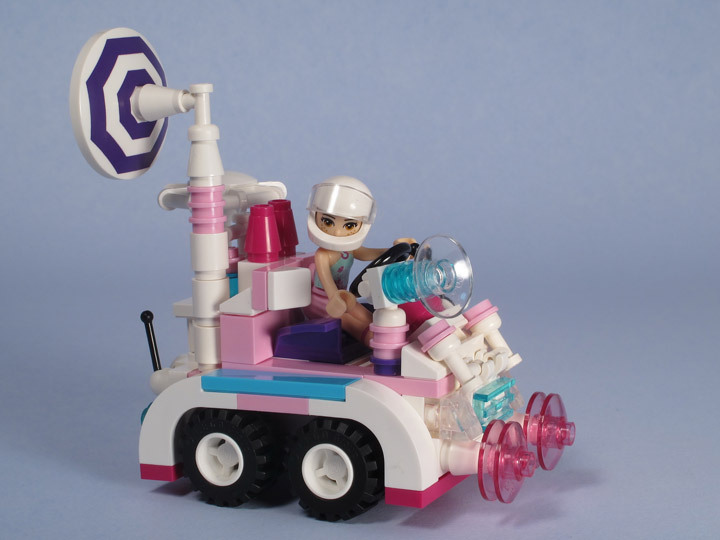 Check out the Lego Minifigure helmet, it fits on the Lego Friends figures! The Crystal Voyager is ready to cruise across the moon in style. This space buggy is the creation of Flickr user Karf Oohlu. They found a great use for the various Lego clear spheres. 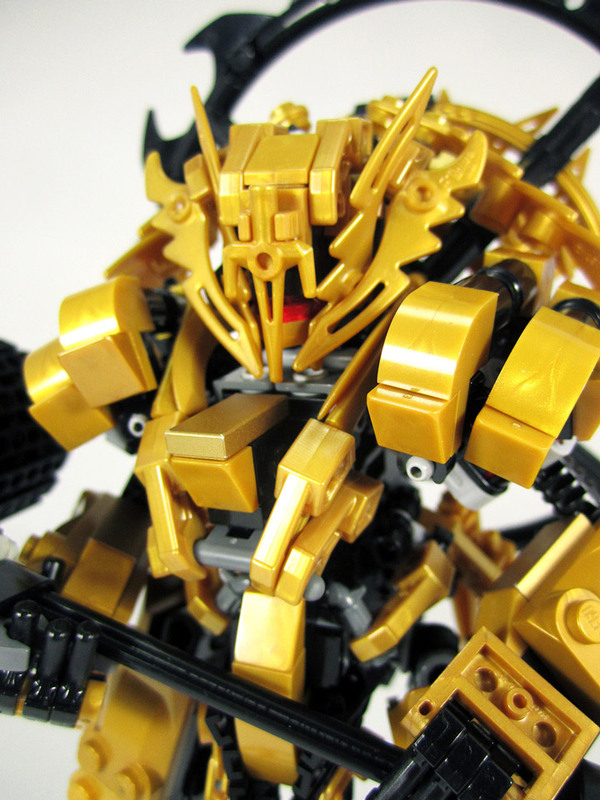 Even the most obscure, and seemingly useless Lego piece can be used creatively with a little imagination. The tiny T. Rex style hands are a nice touch too. Perfect for taking samples of moon rocks. 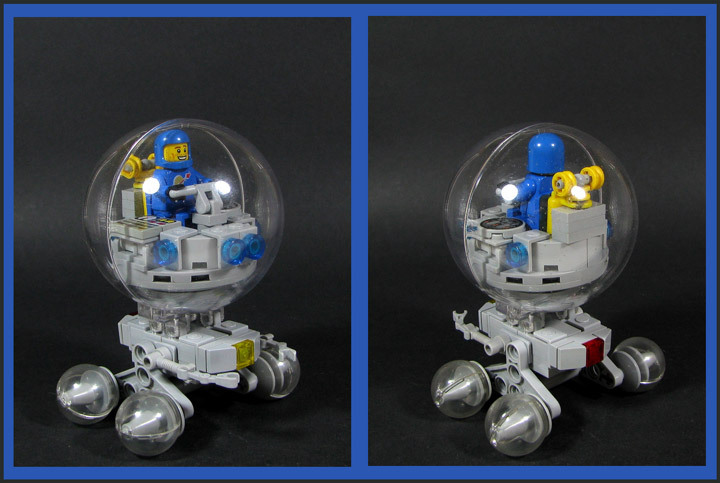 The Crystal Voyager is a great example of retro futurism, just make sure your classic Lego spaceman has a lot of Tang, and freeze-dried ice cream for his journey. Hey, maybe he is listening to Journey too.